We are thrilled to bring many changes and new program in conjunction with the Machine Performance Center in the very near future. One of the changes is the introduction of a Kickr Studio Cycling Program. Our experienced certified Coaches will guide you through a 90 minute structured workout on your bike in a group setting. 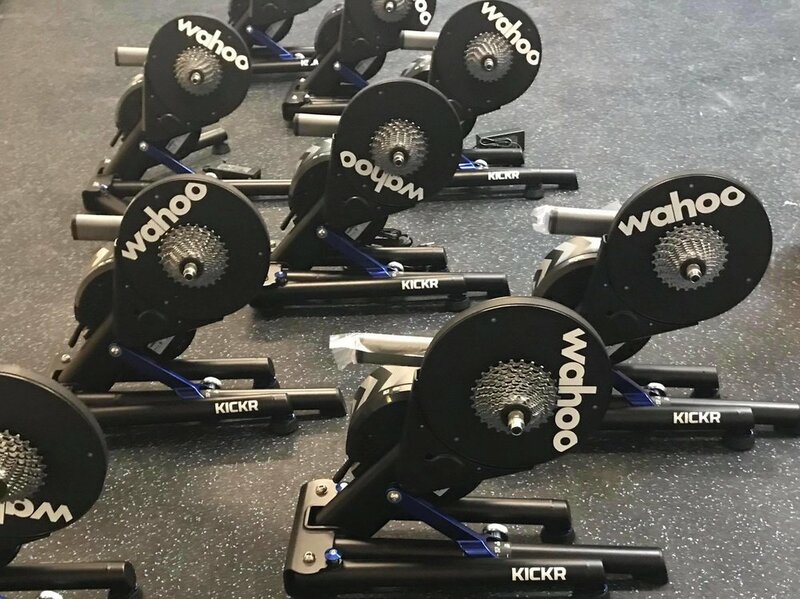 The M3 Studio utilizes the Wahoo Kickr Studio software to create a road like feel. These classes are open to everyone from Beginners to Pros, committed cyclists to weekend riders. Our software and smart trainers allow everyone to pedal side by side with all workouts based on individual FTP. Nov/Dec Classes will focus on building base Power/Strength and Improving Economy with Pedaling Technique. Jan/Feb and Mar/April will focus on Increasing Threshold Power and Anaerobic Speed. Daily Classes begin Monday 11/5. Registation will remain open throughout November with pro-rated rates for those who sign-up before the final four weeks of classes. Daily Drop-In will be available as space is available for $35 per class. $20 Discount applied when signing up for multiple classes. Bring your own Ant+ Heart Rate Strap and Cadence Sensor or purchase with registration. *VO2 max testing is also available & recommended to determine custom Heart Rate Training Zones. 20% discount offered to class participants. Contact Adam@Syn-Fit.com to schedule and appointment.